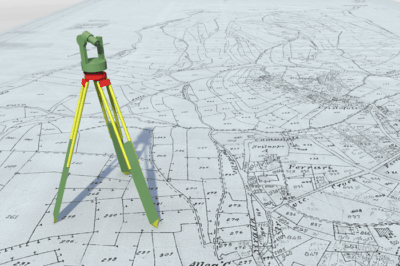 Joseph Magnotta presents an opinion piece about the relationship between surveyors and the GIS industry and why it doesn’t need to be contentious. 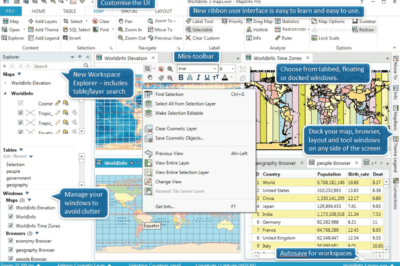 Some highlights of the improvements being offered with MapInfo Pro 64 bit. Using GIS to monitor rainfall in Niger using Rainwatch. Source: ICT for Development. 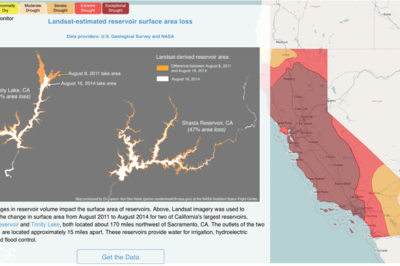 The power of GIS is in its ability to be both simple and complex – showing difficult ideas and layers of data with a single software package makes it easily transferable to vulnerable populations and their governing forces. That power is changing the way vulnerable populations relate with their natural world and resources to keep ahead of imminent climate changes. 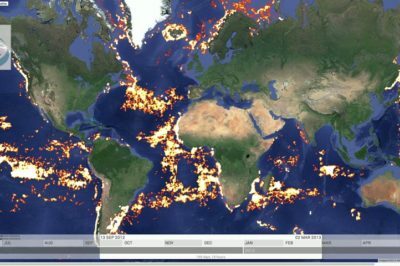 Atlantic view of fishing activity on Global Fishing Watch. Traffic on the 405 in Los Angeles rarely flows as this screenshot from Waze demonstrates. Can Waze’s Crowdsourced Traffic Data be Faked? Affluent Westside residents in Los Angeles want to create fake traffic jams on crowdsourced traffic app Waze to discourage commuters from using their neighborhoods as a shortcut. 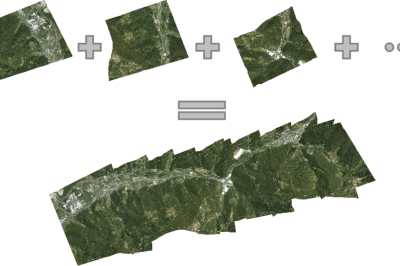 Computer scientist Mark Pritt, along with colleagues at Lockheed Martin in Gaithersburg, Maryland, developed a new algorithm to handle thousands of images and speed up the process of creating an orthorectified map from UAV aerial imagery.